IsWiX 2.0.1310.4 has been published on CodePlex. 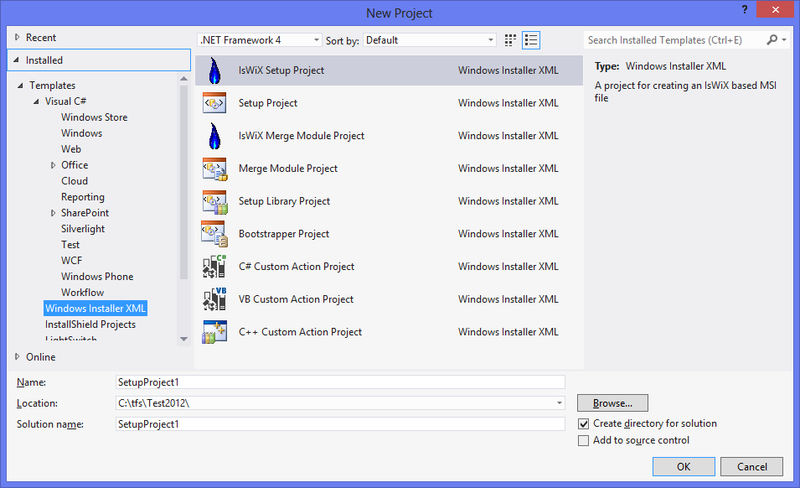 I've added two new Visual Studio Project Templates that go beyond what WiX proper provides. These templates along with the WiX designer allows for fast and simple MSI creation using the following simple steps. 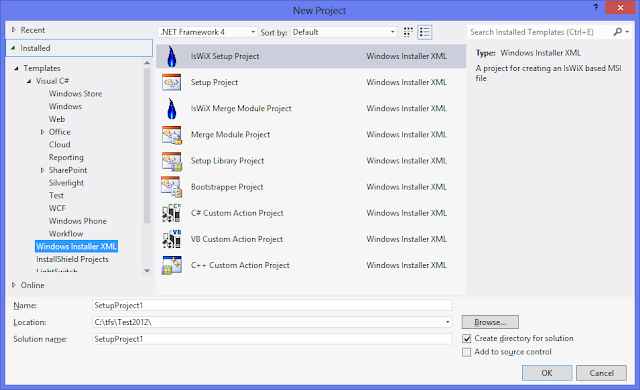 3) Add the IsWiX Merge Module Project as a reference to the IsWiX Setup Project. 4) Take a look through the source for any other changes you may need such as CompanyName, EULA, Banner and Dialog Bitmaps. 5) Use IsWiX to author your files into the IsWiX Merge Module Project. 6) Author additional meta into the IsWiX Merge Module Project that's not supported by IsWiX yet. I've been able to use this process to create a C# Windows Service, create the installer and set up a CI build using Team Foundation Service. This installer is fully versioned and supports major upgrades. The amount of time needed to author and test is less then 10 minutes! Here is a short video ( no sound ) to demonstrate.